Brady Robinson is moving to a new job at Tompkins Conservation after a long, fruitful tenure leading the Access Fund to new heights. Brady Robinson has been at the helm of the Access Fund for 11 years—“10 and 3/4 years,” he clarifies. 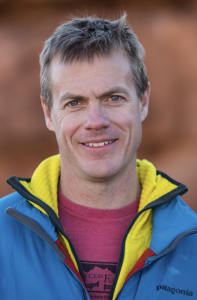 Since starting as the executive director in 2007, Robinson has nurtured the Access Fund—arguably the premier advocacy organization for the climbing community in the U.S.—from a small, niche operation into $3.2 million organization. His original staff of eight has grown to 25. Now he’s decided it’s time to move on. 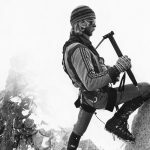 He’s worn several different hats in his professional career up to this point: before the Access Fund he was a “semi-professional climber,” going on expeditions with the likes of Conrad Anker and Jimmy Chin (sporting a radical ponytail at that point in his life); and was the director of operations for North Carolina Outward Bound. His new role will see him assume leadership of the international fundraising efforts at Tomkpins Conservation, the organization founded by the late founder of The North Face, Doug Tompkins, and his wife Kristine McDivitt Tompkins, to conserve and protect land and wild places in Chile and Argentina. What were your early days at the Access Fund like? My very first day on the job was the Summer Outdoor Retailer trade show. That day a journalist asked me, “So, what are you gonna do new at the Access Fund?” and at that point I didn’t even know how to turn my computer on. I was just dumped into the deep end. It took me a year to just figure out what the hell was going on. In any job running an organization you do your best initially, but it takes a while to figure out what works and where to focus your energy. I’d been working at Outward Bound for about a decade, and I was director of operations there. I was kind of a semi-pro alpine climber back in the day. Couldn’t quit my day job, though. I was serious about climbing for a while, and I think the combination of being a very dedicated climber and having a lot of nonprofit management experience made me attractive [to the Access Fund]. What is your proudest accomplishment from your time at the Access Fund? 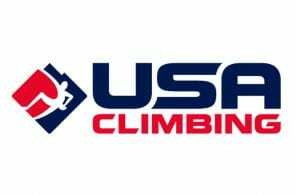 I think just growing it into this really nationally and regionally releveant organization that is kind of a one-stop shop for all things climbing, conservation, access and management. 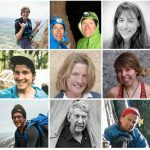 We’ve got staff all over the country who know those regions well; we’ve got the best climbing policy shop ever made; we’re now a land trust and we’ve got a million dollar revolving loan fund; we’ve got three teams of master trail-builders on the road 10 months out of the year doing projects and training others. None of those things were in place when I got here, though. When I started we had three staffers who were dedicated to actually doing the work of climbing access and conservation. Now we have 15. So I think that might be the stat I’m most proud of. Yes, we almost tripled the budget, but I’d say the thing I’m most proud of is how much work we get out the door and how relevant we are and what an amazing team we’ve assembled. That’s what makes it hard to walk away. To flourish at the Access Fund you’ve really got to be a self-starter, so the good news is with the transition in the executive director, I don’t think the climbing community will even notice much since the staff is so good. So it gives us time. We’ll appoint an interim director in another week or two and then we’ll do a national search. Biggest regret as you’re leaving? I think we’ve still got some room to grow in education. I think we do a great job of educating land managers and volunteers and people who want to remove bolts—things with technical info we do a great job on. 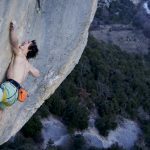 But I still feel like there’s opportunity for us to do a better job of reaching new climbers as they come into the sport, and trying to get into their head about how to be in the outdoors without us being preachy. Think we still have work left undone there. Another way to phrase that: what is left for the new executive director to do? Two things, certainly. One is that education piece. 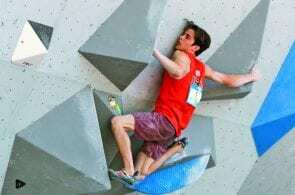 Not only Access Fund, but how is the whole climbing community going to tackle the gym-to-crag transition and the mentorship gap. 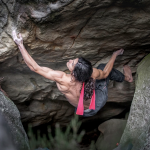 The other thing is, with so many more climbers coming into the sport, how are we as a community going to come together on stewardship in a really big way. I think what the Boulder community has been doing with the Front Range Climbing Stewards—a dedicated trail team—is working great. But how are we going to make that bigger and tackle these challenges on a bigger scale? The community and sport will keep growing, and I think there’s going to be an opportunity to maybe make some bigs moves on stewardship—poop, parking, trails, dogs, staging areas—it’s not the flashy stuff, but it’s super important for climbing access. What will be your day-to-day at Tompkins Conservation? I’m going to be in charge of international fundraising. My job will be to raise money for the teams—there are two teams in South America, one in Argentina and one in Chile. I’ll be connecting those teams with donors in the States and internationally, who want to get connected with projects down there. There is still a lot do to. There’s more land to conserve still. The parks they’ve created and conservation that Tompkins Conservation has already done— we need to figure out how to ensure the ongoing stewardship of those parks. The long-term defense and protection of what’s already down there, the acquisition and creation of new parks on land but also in the sea—Kris Tompkins is concerned with more than just the land. And also rewilding. When Kris thinks about conservation down there, it’s not just about protecting lands. There’s opportunity for letting nature resume control, and also reintroducing native species that were pushed out for various reasons. So all of this is really in service of biodiversity, conservation. And creating a community and network in those countries to support that and benefit from it at the same time. There are large teams of Chileans and Argentinians who are running things—I’m not coming in to tell them what to do, but to support them. It’s going to be really exciting—I’ll be a beginner in a way I haven’t been in a long time. 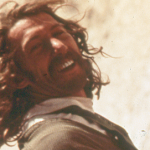 Think you’ll bring back the long hair for the new gig? Ya know, I don’t think so. When I cut that ponytail off I’d been growing it out for 14 years, and I realize I probably rode that wave about five years too long. My wife was afraid—she’d only known me with long hair and had seen old pictures of me with a bowl cut as a kid… thought that’s what I’d end up with. 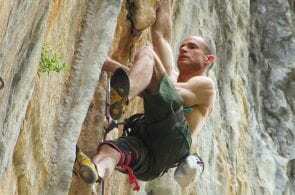 Kyle Roseborrough, father, husband, son, friend and lifelong climber, was 45.